It’s a major inconvenience to live without your teeth. Not only is it harder to chew food, but it’s also more difficult to speak normally. Even worse, when any number of teeth are missing, it alters your smile and leaves you feeling less confident. Dental implants are the most effective form of replacement, but without the proper knowledge of how the procedure works, the process can be somewhat daunting. If you feel this way, then continue reading to learn how the process works so you can receive the care you need in comfort. Precision-crafted from titanium, a dental implant is a post that is surgically inserted beneath the gumline. It’s most important feature is that by attaching to the jawbone, it mimics the function of the tooth’s root. Although there is an abundance of information available that explains the effectiveness of the dental implant process, there may still be some lingering apprehension about undergoing the procedure. The Process May be Painful – One of the main concerns many people have with any surgical procedure is the possibility of pain. You don’t have to worry, though, because through a combination of sedation dentistry and anesthesia, you can experience a comfortable implant placement process. It May be Too Expensive – The price range for dental implants is vast, from around $1,500 to $10,000. Before assuming that the process won’t be affordable, though, it’s worth your while to visit your dentist for an examination and consultation. The Procedure May Not Work – A very attractive perk of the dental implant process is that it has a 98% success rate. That’s partly because such a tedious approach is taken to every step of the procedure. 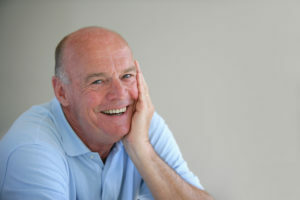 Given the fact that dental implants can last up to a lifetime if cared for properly, and that they provide such a sound foundation to support your facial structure, they are worth investing in. Additionally, by the implants and final restoration being designed to mesh with the shape and size of your other teeth, you’ll be left with a functional yet aesthetically-pleasing smile. Once your smile has been fully restored, you want to do what’s necessary to maintain the healthiest teeth and gums possible. Therefore, you won’t have to worry about the implant unseating or sustaining premature wear. That means you’ll need to perform excellent oral hygiene, which includes brushing and flossing your teeth. You’ll also need to visit your dentist regularly for cleanings and check-ups. By following these guidelines, you can expect to have the smile of your dreams for years to come. It starts with reaching out to schedule a consultation today. Dr. L. King Scott earned his dental degree from Louisiana State University School of Dentistry. Throughout his career, he has taken hundreds of hours of continuing education, which includes advanced training from the Zimmer Institute. Dr. Scott places dental implants and rejuvenates smiles at his private practice, and he can be reached for more information through his website.